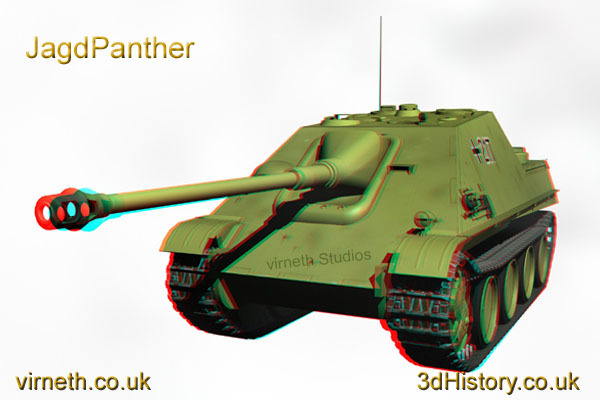 3d Anaglyph of German JagdPanther self propelled anti-tank gun. The JagdPanther (Hunting Panther) was introduced during 1944. It was based on the chassis of the Panther and mounted an 8.8 cm Pak 43 anti-tank gun. The hedgerows of Normandy suited the defensive nature of this vehicle. There were a large number of JagdPanther employed during the Battle of the Bulge in the Ardennes at the end of 1944.